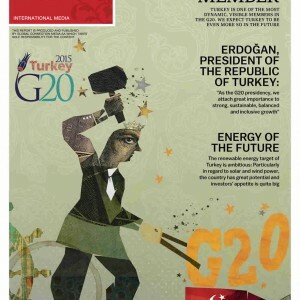 The tenth annual G20 Leaders Summit, a platform which brings together the 20 developed and developing countries of the world and the European Union, will be held in Antalya between 15-16 November 2015. 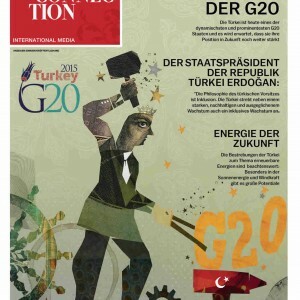 “G2O in Turkey”, one of the the official publications of the summit covering the events, has begun to reach readers from five countries . 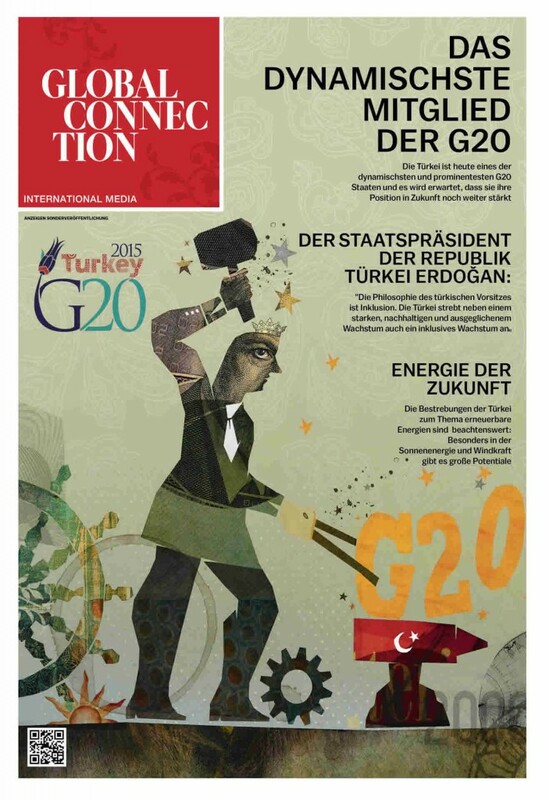 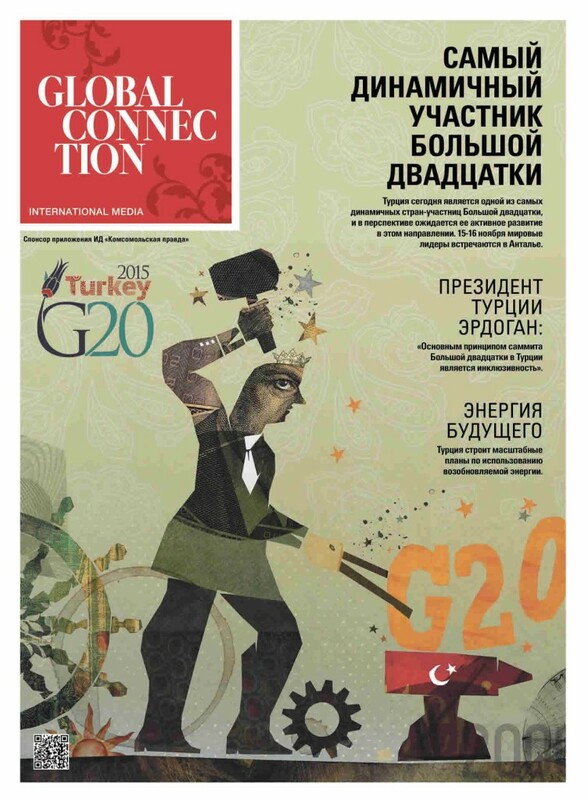 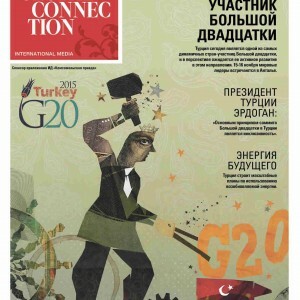 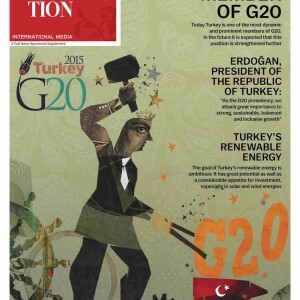 Published by the international media company Global Connection (GC) with contributions from worldwide journalists, “G20 in Turkey” has described Turkey as the “the most dynamic country among the G20”. 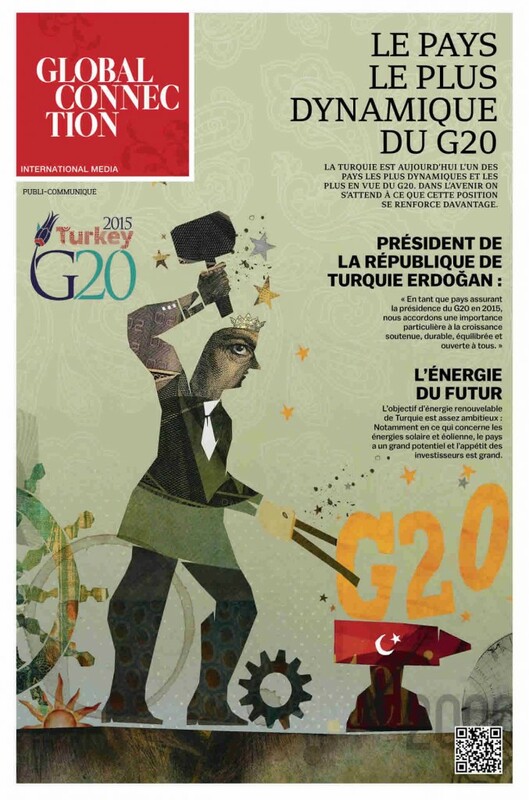 “G20 in Turkey” which is published with Le Figaro in France, Die Welt and Welt Kompakt in Germany, The Daily Telegraph in the UK. 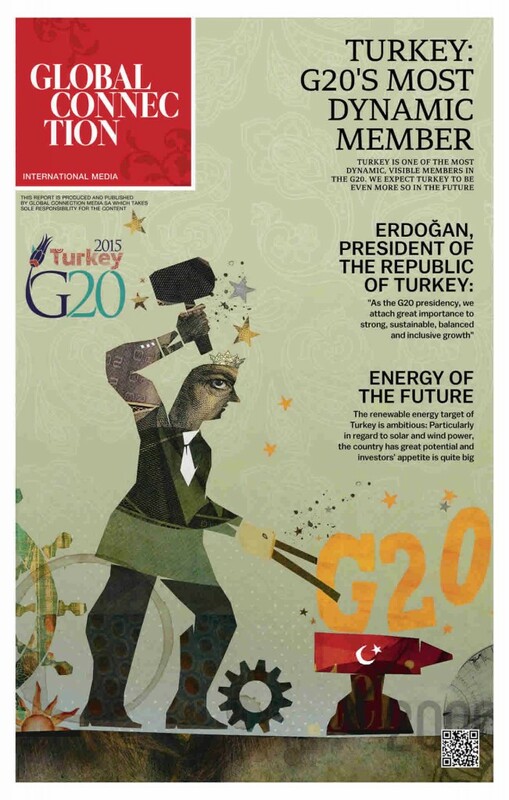 Komsomolskaya Pravda and Kommersant in Russia, and Gulf News in the UAE also features statements by President of the Republic of Turkey Recep Tayyip Erdoğan and Deputy Prime Minister Cevdet Yılmaz, will be reaching 55 million readers. 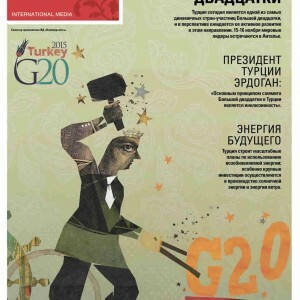 Among the many contributions featured in “G20 in Turkey”, “Topkapı Palace: The abode of Sultans”, “Tünel at Istanbul: The world’s second oldest subway”, “Meet the new brand of Turkey: Turkey, Discover the Potential” and “The Turkish Nobel laureate scientist Aziz Sancar” were some of the highlights. 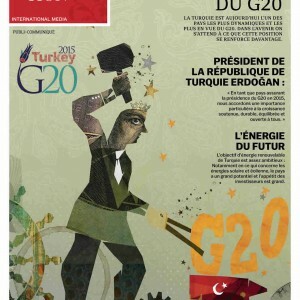 In an article published in “G20 in Turkey”, President Recep Tayyip Erdoğan underlined the fact that all participating countries of the G20 were acting in unison regarding world crises, adding that “[they] must make the best of this mutual concurrence in relieving future global problems”. 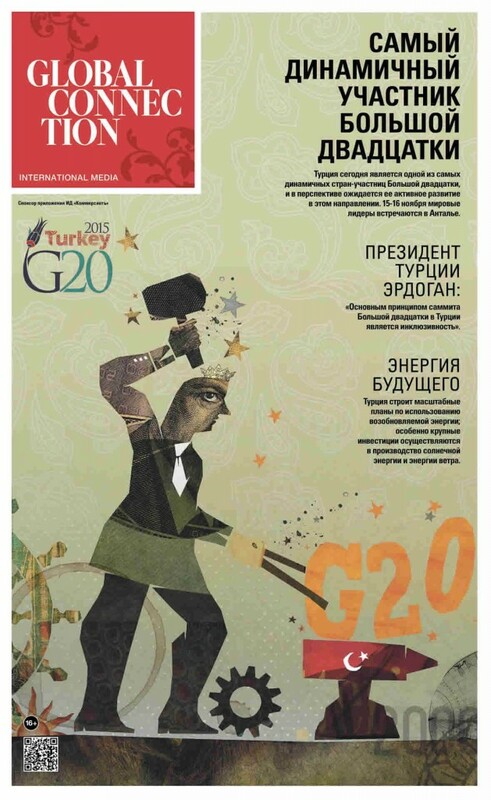 The first issue of “G20 in Turkey”, has been published on 17 October together with The Daily Telegraph in the UK, subsequently on 19 October with Komsomolskaya Pravda and Kommersant in Russia, with Gulf News in the UAE, with Die Welt and Welt Kompakt in Germany, on 20 October with LeFigaro in France and on important online sites such as www.kp.ru, www.welt.de and www.lemonde.fr.